HI! Great code :D, there is a way to implement it on sharepoint quick start? Hi, the described method is intended for demonstration of customization a list view only. А как вернуть фильтры и навигацию между страницами? У меня она почему-то не работает. Использовал Ваш пример во внешнем списке. Если я правильно понял, необходимо отобразить Header & Footer, как например, в стандартном представлении. Спасибо, Вадим. Уже разобрался. Правда пришлось отказаться от данного способа, т.к. я извлекаю внешний список, и нагрузка при этом становится жуткая – т.к. клиент выгружает сразу все данные, которые с у учетом клиентского рендеринга грузятся на медленных машинах более минуты (более 5000 тыс записей MSSQL). Сделал через серверный рендеринг XSL. А клиентский пожалуй использую во встроенных компонентах SP или непосредственно в форме просмотра элемента. Hi there – The Accordion is working absolutely fine for me. I am trying to include the header to have default search box. I couldn’t get the search box. I have tried different browsers and versions of jQuery but the result is the same. Please can you help? I have tried with a custom field that I have, a LookupField. I have created the .js file to render the control for the view form, (AllItems), of the list where the control is used. Is there a way to freeze column headers in a list view using CSR? 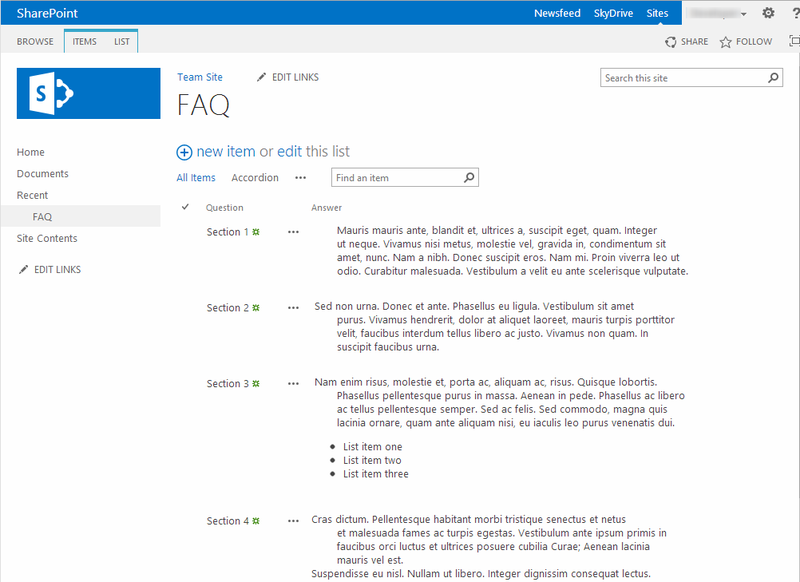 I put in a request with SharePoint Product support and they did not think you can freeze a column header. 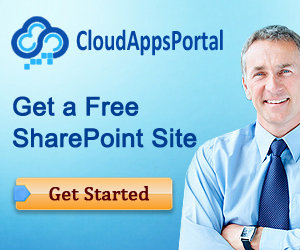 I use Sharerpoint 2013 Online is the code works with a list. The problem occurs when you use the code in a page that contains multiple lists. Probably a problem with BaseViewID, but I’m no expert. Nice post. It works globally but i have a problem with the header. It seems that the css is not properly applied as my header is not displayed after the icon but on the left side making it somewhat messy. I tried changing the css but found no way to change that. Other question, do you have an idea how to create a subdivision using an additional field like having general questions first, software questions, etc. Hi there – In addition to my earlier question for search box; I am facing one more issue. I have created a custom list view and override by js link. I put this list view webpart one the homepage of the site. When I put another webpart from the document library. This custom rendering is applying to that document library view web part. How can we tie the js link only to that specific list view webpart? I tried with different BaseViewID’s but it didn’t work. Could you please advise? Good afternoon, If anyone is following this that was successful can you please respond to how. I have created a custom list with (Title) being Question and another plain txt single line being answer I have changed the name of the list to Accordion I have added the AccordionViewTemplate to my Style Library and referenced it in the JS Link. I have also referenced the two jQueys such as this ~sites/StyleLibrary/jquery-1.11.3.min.js|~sites/StyleLibrary/jquery.ui.js|~sites/masterpages/AccordionViewTemplate.js. I did not change any of the code in the template at all, maybe I should have?? Nothing is happening at all. My list stays exactly the same. Any help would be GREATLY appreciated. This is awesome. I was able to add my own styling to this, however am struggling with using this code to only target only one webpart on the page. Can you explain how I can use the JS link to target only one web part? I have another web part on my page which I need to use a different JS link. This code currently gives the other list (doc library) an “undefined” on page. ListTemplateType – ID of the list template. ViewStyle – ID of the view style. BaseViewID – BaseViewID of the list view. Hello, can you please post an example with the other examples (ViewStyle and BaseViewID) ? I can’t find a way to make it work. I have 2 custom lists on my page. This is exactly what I need. Is it be possible to have the same thing with a grouping View? I’m trying to create a accordion which containt document libraries. Do you have smart solution to do this? Are the comments here still being replied to? I want to apply the JS to one particular list on my web parts page and not the other lists there. Could you please break it down for me? The solution you suggested above using ListTemplateType / ViewStyle / BaseViewID does not work for me. Hello. I tried doing this and everything is linked up but it doesn’t work. I also hosted the files on my site asset folder. It’s not working for me,I have tried below scenario, can you guide me please if I am missing anything? As indicated by the last two comments above, I couldn’t get this to work either. Please assist. thanks for the article. 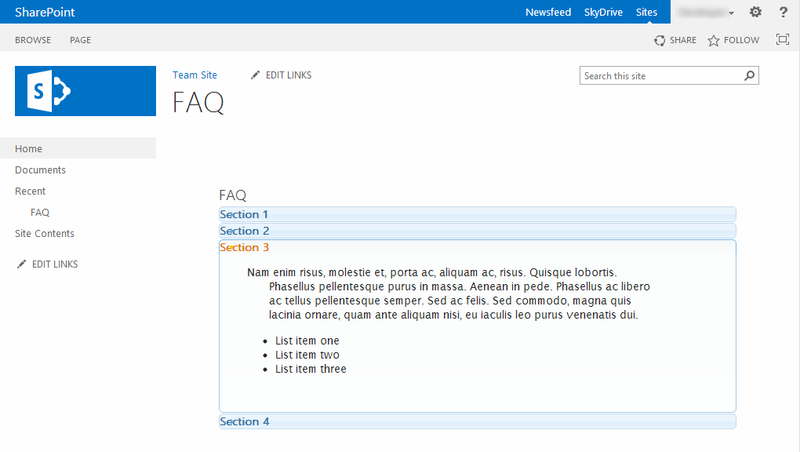 is it possible to create a accordion – expand/collapse style newform.aspx with sections. I am having some 40+ fields in my splist. and I wanna see the sections instead of scrolling everytime when the newform is loaded.